A unique Italian tonic: a blend of extracts and juices of 14 carefully selected naturally grown plants and fruits such as organic apple juice, organic chokeberry, organic yellow gentian, organic quinine, organic acerola, organic cardamom, organic ginger, organic cola nut, organic guarana, organic lemon juice, organic bitter orange, and other natural flavors and ingredients. It has 3 in 1 organic formula: Stimulant as a herbal Digestif, Energizing as an Italian Espresso, Refreshing as a natural Tonic. 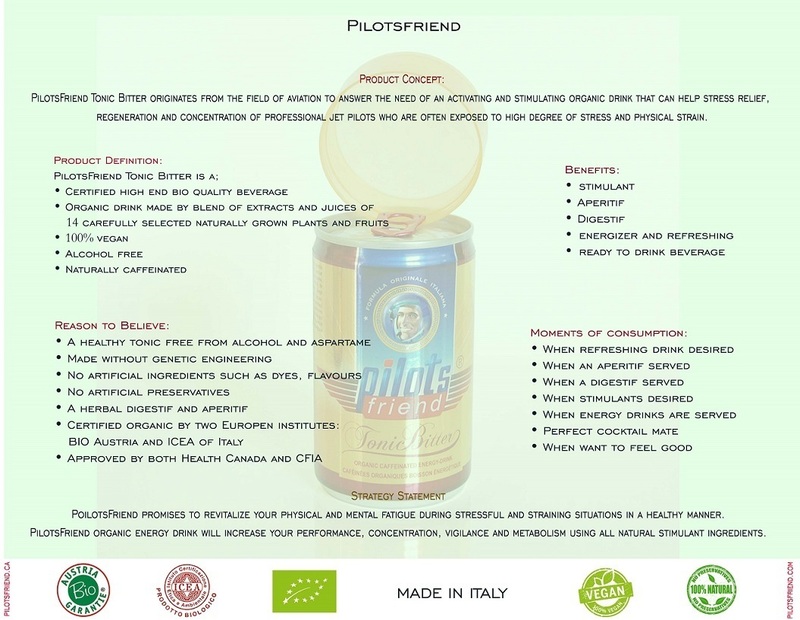 PilotsFriend has specially been developed for professions and activities that require a high degree of alertness and stimulation, in a natural way. I purchased PilotsFriend in my last order and just tried it. I purred it in a glass and added few ice cubes. It is perhaps the best drink I have ever tasted. So complex and flavor and tasty. I could feel the fruit juices and botanicals in my after taste. It gave a mental clarity and good feeling. I have heard it mixes well for cocktails too. I recommend it for everyone. 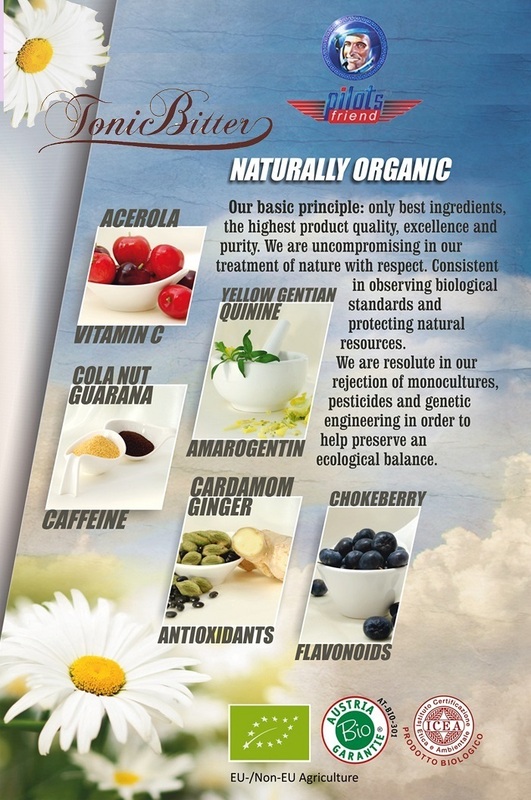 Click the button below to add the Organic Fruit Tonic 150 ml - PilotsFriend to your wish list.